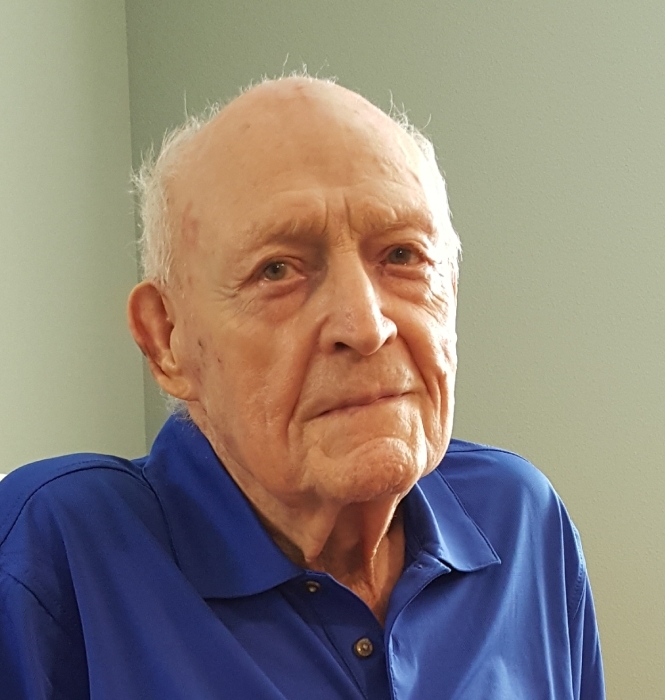 Addison McAndrew Rife, born March 2, 1921, passed peacefully to the Lord at the age of 97 on the evening of Sunday, February 10, 2019, at the Arkansas Veterans Affairs Home in Fayetteville. He was the second son to Luther Powell Rife and Emmaline Alden Rife of Osage Mills, Arkansas, who named him after their dear friend Add Rife, a piano tuner. With his brother, Addison farmed poultry, livestock and grains covering nearly two hundred acres in rural Osage Mills. Between 1942 and 1946 Addison served as an aerial engineer in the United States Army Air Forces, a division that would become a distinct branch of the military in 1947. In his service, he maintained the B-34 Ventura and B-26 Marauder - bombers critical to Allied victory in WWII. Upon discharge from the Army as a Sergeant, Addison with his wife, June Boyd Rife, of Cave Springs, began their small family. June bore their only child, Deborah Rife Reynolds, in 1953. They were married 62 years. Together they operated the Rife Variety store at the corner of 8th and Walnut in Rogers, adjacent to the site which would later host the first Wal-Mart. Theirs would not be the only independent store that would succumb to the success of Wal-Mart. One of Addison’s greatest joys, though, was his walk with Jesus which began in Addison’s 50’s through the body of First Baptist Church of Springdale, at the leadership of Pastor Clifford Palmer, Addison’s close friend. For 15 years Addison volunteered as a bus driver, bringing children from the outskirts of Goshen and Sonora to church each Sunday. Throughout his career, Addison embodied that American spirit of hard work and self-sufficiency. He could most frequently be seen wearing a mechanic’s cover-all and carrying a worn handkerchief, as he often undertook farm or engine repairs himself and even tended his lawn well into his nineties. Addison is survived by his daughter, Deborah, with her husband, Jim Reynolds. He leaves two grandchildren: Jordan Applegate and Heather Paul. Jordan, continuing his grandfather’s tradition, also serves in the United States Air Force in Tampa, Florida with his wife Malorie and daughter Liesl. Heather lives with her husband John and four children Brooks, Kathryn, Ellerie, and Bryce in Fayetteville, AR.